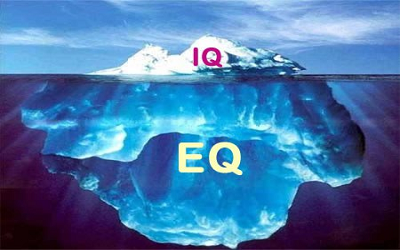 Can EQ make you more money than IQ? Research at the Harvard Business School has shown that Emotional Intelligence (EQ) – the ability to manage our own emotions and connect to the emotions of others – counts for twice as much as IQ and technical skills combined in determining who will be successful in their career and in life. Show me the money! Researchers from the University of Bonn in Germany, Illinois State University and Otto Beisheim School of Management in Germany, found that when individuals displayed emotional intelligence—the ability to perceive other people’s emotions—they were more likely to bring home a bigger pay check than their emotionally unaware colleagues. Does this mean IQ doesn’t matter? No, but the Harvard researchers concluded that IQ is a threshold competency. In other words, you need a certain amount of IQ to do any job, but once you are over the threshold of IQ needed for that job, having more IQ does not significantly differentiate performance. What about jobs that require a very high IQ – like surgeons? The same rule applies. You need a pretty high IQ to be a surgeon and get through the schooling and training, but once you graduate, having more IQ doesn’t make you a better surgeon. In fact, research at Harvard University, the University of California-Riverside and the University of Toronto found that surgeons who are high in communication skills like empathy, get sued less often. Makes sense, right? So why doesn’t more IQ always correlate with making more money, but EQ does? As Stephen Covey put it, “people don’t care what you know until they know you care”. Every job requires some interaction with other people, and if people find you to be abrasive or uncaring, it won’t matter how smart you are. People aren’t going to follow-up and give you their best. Are there exceptions? Maybe. Steve Jobs is the classic example of someone incredibly intelligent who seemed very difficult to work with. Is that really true? Did the people around him really not think he cared about them, or did he just have a different way of showing it? Hard to know, but most people are not like Steve Jobs (me included) that they can behave like him and expect people to follow them. The bottom line for your bottom line is that there is an overwhelming amount of research to suggest that it’s not your IQ that will earn you a lot of money, it’s your Emotional Intelligence!